The one plane has his wings clipped and blindfolded, this can't be good. 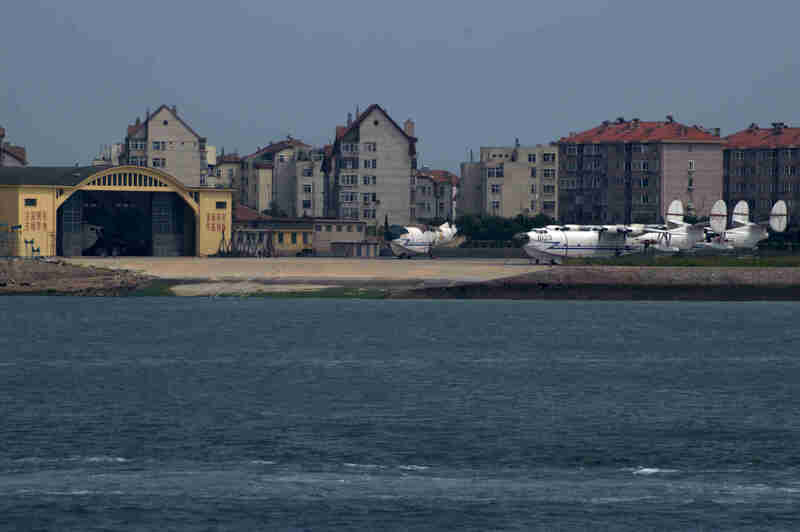 The sea plane airport at Qingdao, China has no runway - use the water. Shot from the ferry in route to Qingdao. Hey bsteaves, I really like this shot. I think it is because it is so different. Nice! Thanks for your kind comments. China always has interesting things to see. You just have to look past the tourist traps. Everyone should live in China for 6 months. It makes you apprecaite everything you have so much more.